Welcome to our 2nd Annual Portage Celery Cup Tournament, August 24-26, 2018. 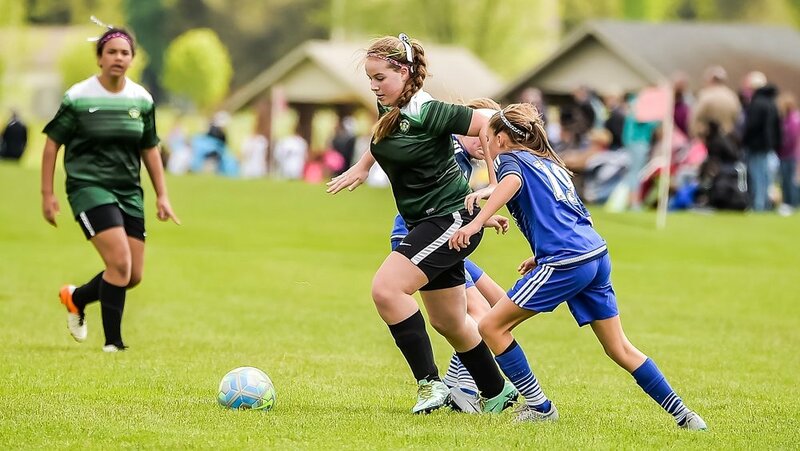 Our tournament is sanctioned by the United States Youth Soccer Association (USYSA) and features full length games in all age divisions, a 3 referee system on nearly all games (even for most U8 to U10 games), and individual awards for all U8 to U15 members of 1st and 2nd place teams. All games played at the Portage Soccer Complex, one of the nicest soccer venues in Michigan! 2018 Registration is now closed. Registration deadline was August 10, 2018. The Portage Soccer Complex has over 500 parking spaces plus additional parking available at nearby facilities. Parking at the Celery Cup is free. Please note: No smoking, alcohol, or pets are allowed at the field locations, Thank you for your cooperation. The Portage Soccer Club, the largest nonprofit soccer club in southwestern Michigan, sponsors the Portage Celery Cup. The club and tournament are run by all volunteer committees. It utilizes 100% of all proceeds to be put back into the upkeep of the Portage Soccer Complex which is owned and operated by The Portage Soccer Club. Thanks to previous years’ benefactors, this 37 acre complex includes nine beautiful full size fields which are considered to be one of the nicest in the state. Eric Alexander, MLS FC Cincinnati, formerly with Houston Dynamo, Montreal Impact, New York Red Bulls, Portland Timbers, and FC Dallas. Eric as a Portage Central High School senior was named Gatorade Player of the Year. Paige Wester, Portage Central 2009 Miss Michigan Soccer. All games will be played at the Portage Soccer Complex, the premier nine field facility in Southwest Michigan!. The Portage Soccer Complex has over 500 parking spaces plus additional parking available at nearby facilities. Parking at the Celery Cup is free. There is no parking fee charged to our guests unlike many tournaments. Click here for maps and directions to the fields. If you need assistance during the tournament weekend, our Tournament Headquarters is located at the Portage Soccer Complex, near the concession stand. If you have any questions regarding check-in instructions prior to the tournament, please feel free to contact our Team Operations staff member Mini Murphy. She can be reached via email at minipaulosemurphy@yahoo.com. We look forward to a wonderful weekend and ask everyone to let good sportsmanship prevail.